Like keeping a household tidy isn’t hard enough. When you have children, as a general rule, kids rooms are usually the hardest to keep clean and organised. Regardless of the age, kids have personal stuff –from toys for the youngest ones to books, magazines, and gadgets for those who are a bit older. 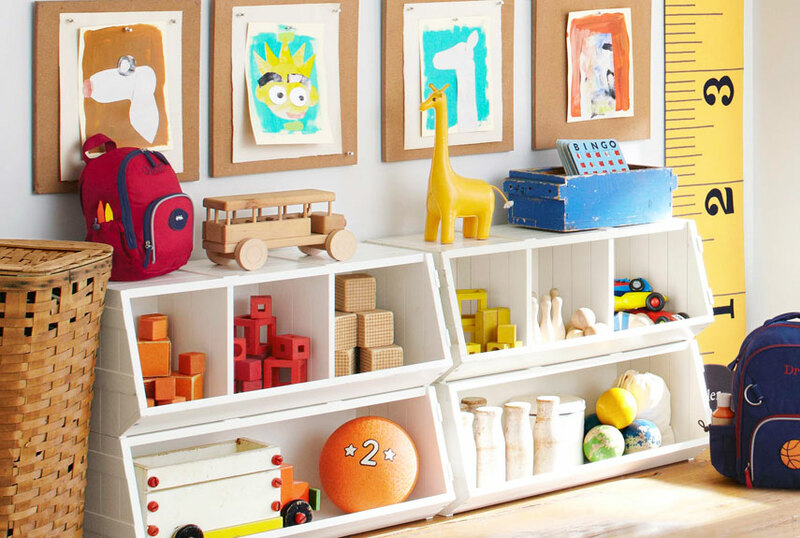 That’s exactly what shelves are for so here are a few nifty shelving ideas for your kids’ room. Before you buy or make one, teach your kids what should and what shouldn’t be kept on a shelf. For instance, tiny objects such as pencils, rubber gums, marbles, and so on are not suitable for shelves. Use the drawers of your kid’s desk and keep school supplies in there. The same goes for toys, balls, and, of course, clothes. Make this clear with your kid unless you want their room to look even messier with shelves overwhelmed with clutter. The golden rule of furnishing tiny rooms says: maximise your space by using corners. The corner space is especially valuable for kids’ rooms since they usually get the smallest room in the house. That’s where corner shelves come to the rescue. Whether you opt for two classic shelves that meet in the corner of for a zigzag corner shelf, there’s no doubt your kids will love it. Put a table in that corner as well and turn it into a creative hotspot of the room – a place for your kids to draw, sculpt or play an instrument. Shelves, as any piece of furniture, are not cheap so it’s always a good idea get crafty on your own. 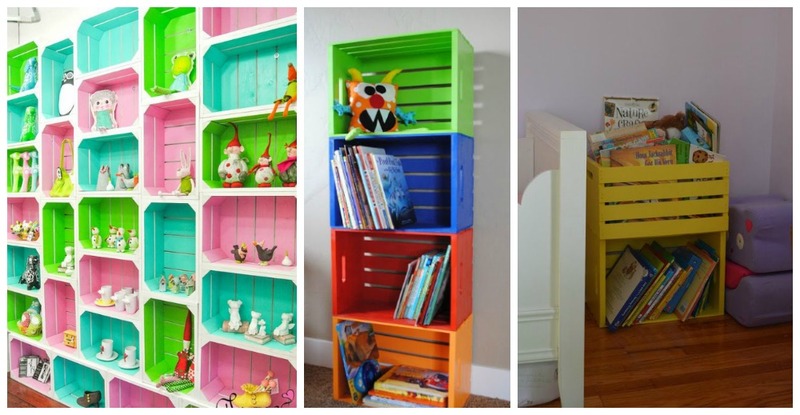 There are plenty of DIY ideas for kids’ bookshelves across the web, but those shelves made out of wooden crates are really something special. They’re especially great for rooms of younger kids since they usually own books in all sizes which are hard to fit in regular bookshelves. Besides the books, young kids have a lot of toys and toys fit perfectly in the wooden crates shelf. 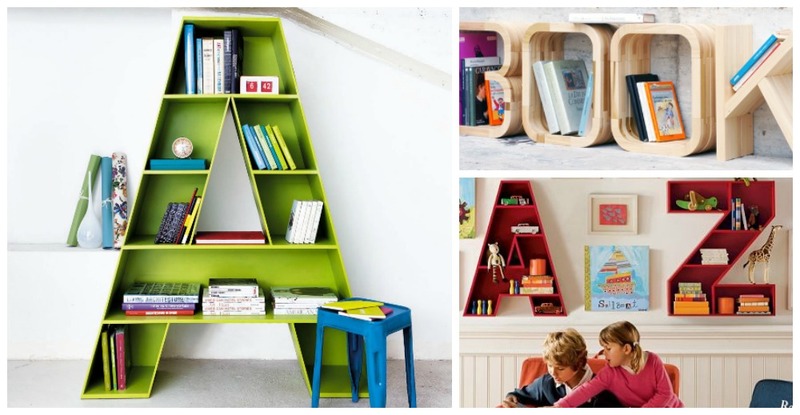 Letter-shaped shelves are a big trend lately and will make a perfect addition to your kids’ room. A skilled carpenter will know how to make a shelf shaped like any letter of the alphabet, so you can personalise your child’s room by making them a shelf in the shape of their initials. Those shelves make an amazing reading nook, too – just add an adorable kids’ rug, like those from Decorug, a nice lamp to ensure cosy lighting and you’ll be good to go. Besides, this might be a great way to make your kids fall in love with reading at any age. Kids of all ages as well as grownups love toys that are collectable. It’s not enough to have one Star Wars figure; you just gotta have it all. 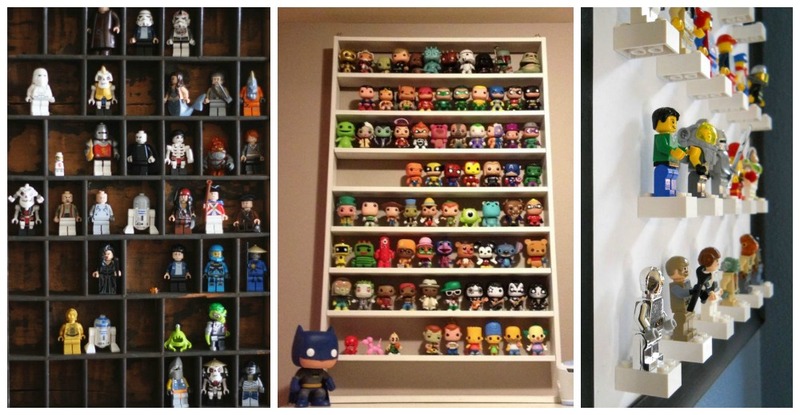 Those collectables look the best when displayed together so you might want to consider building a themed display case. It can be a regular shelf reserved for Batman related stuff only or an actual bat-shaped shelf. Include your kids in the process and help them decorate the shelf with matching stickers, logos, or colours. 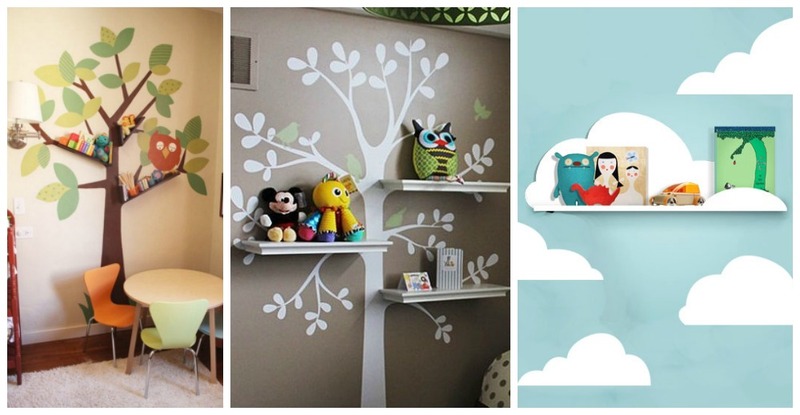 Shelves that are a part of interesting wall murals are simply amazing – think trees, tree houses, skylines, bridges, etc. Paint it over a whole wall of your kids’ room and add simple shelves that will blend into the background. How cool would it be to have a Spiderman figure chilling on the top of a painted building or that book with an owl on the covers standing on a tree branch? Regardless of your budget or handiness, your children’s room can get stunning bookcases with just a little effort. Check out the ideas listed above and pick the one you like the best. And, most importantly – don’t forget to include your kids in the process. They’ll love it!